With Bruce Wayne MIA (as opposed to RIP), Gotham City is descending into chaos. Soon, the Sons of the Bat will go head-to-head for the right to claim his mantle. Before that happens, though, Blake and Chase break down the Batman Family — the four sons, the assorted daughters, the fathers, the lovers, and the assorted hangers-on. The guys also discuss the eight Batman-family comics recently announced beginning after Battle For the Cowl ends, and they place their bets on who will be wearing each costume. But what are the stakes of their wager? That, friends, is where you come in. Also, in the picks this week, Blake bids farewell to Fables cover artist James Jean, and Chase is all about G.I. Joe #1. This entry was posted in Showcase Podcast and tagged Batgirl, Batman, Battle For the Cowl, Batwoman, Birds of Prey, Catwoman, Fables, G.I. 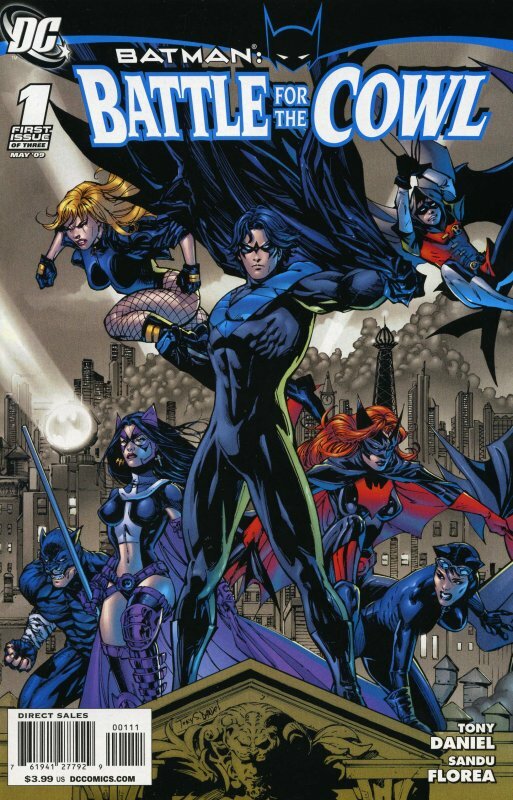 Joe, James Jean, Nightwing, Oracle, Red Hood, Robin. Bookmark the permalink.